Wilmington High School recognized its homecoming court this week. From left are Austin Brummett, Jordan Snarr, Isaac Hicks, Mya Jackson, Ryan Lewis, Keeley Allen, Garrett Neff, Zane Bekheet, Micah Patterson, and Aubree Trusty. 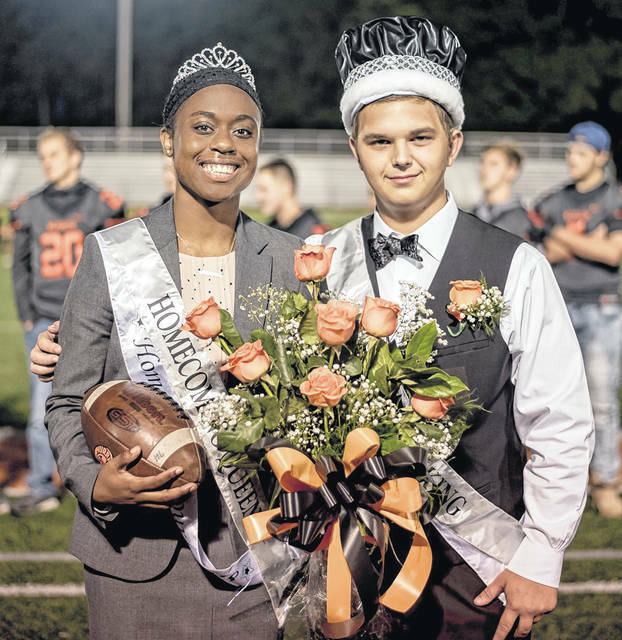 The Wilmington High School Homecoming Queen, Mya Jackson, and King, Ryan Lewis.